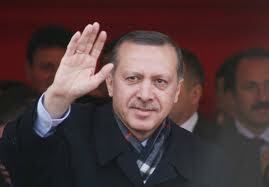 Turkey will for the first time elect its president by general election in June 2014. A president elected directly by the people in a two-round election is an important political event for Turkey capable of provoking political instability since the limits to powers of the president and prime minister are quite ambiguous in the existing constitution, which was inherited from the military regime in 1982. This ambiguous setup was aimed at allowing Gen. Kenan Evren, the leader of the Sept. 12, 1980 military coup, to control civilian power. So whatever the final regime, parliamentary or presidential, Turkey needs to redesign the powers of both of the president and the prime minister before electing the future president by a general vote. I had already explained some months ago my thoughts regarding this redesign in my column “What should we do with a president elected by a general vote?” (May 20, 2012), but I feel the need to restate them once again since the presidential debate is entering its final phase. The opposition, particularly the Republican People's Party (CHP), claims that the presidential system will turn into an authoritarian regime, while the AK Party argues that a president elected by a majority of voters would be strong enough to make difficult decisions, such as those needed to solve the Kurdish problem, and that the executive branch would be more efficient. As long as the president is elected by free elections, I believe the fears of an authoritarian regime are unfounded so long as an impartial judicial system is maintained. But at the same time, I do not share the AK Party's arguments regarding the “merits” of a presidential system. The gap in electoral support between the AK Party and the opposition is actually so large that the AK Party is secure enough to continue ruling Turkey for the foreseeable future, and its prime minister will continue to be quite powerful in a parliamentary system. That said, we still have to find an answer to the fundamental question: What should we do about a president who is elected by a general vote? Basically, there are two options: One, we could give up the idea of an elected president and go back to our old parliamentary regime before the 1980 military coup. Personally, I do not like this solution because I consider a president elected by a general vote to be a strong bastion against possible military coups, modern or post-modern, in the future. Do not forget that presidents up until 2007 acted as facilitators, if not collaborators, of coups. The second solution still involves a president elected by a general vote but at the same time corrects the current ambiguities by a withdrawal of the executive powers of the president. A president elected by a general vote could still play an important role in solving impasses in the political system. Thus the prerogative of the president to hold referendums should be maintained, while the ability to dissolve Parliament under specific conditions should be reinforced. Let me also to add that in Europe, there are many presidents, such as those of Austria, Portugal, Finland and Bulgaria, who are elected by general vote but who do not necessarily act in a presidential or semi-presidential system. Those countries have a standard parliamentary system.